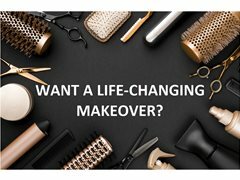 TOP EXPERTS will give you the ULTIMATE FEEL GOOD MAKEOVER free of charge! The makers of ‘10 Years Younger’ and ‘How To Look Good Naked’ are creating a positive and empowering makeover TV series following several men and women of all ages. We’re looking for real people that deserve our top experts help - including non-invasive cosmetic surgery, hair styling, make up and fashion. The chosen applicants will receive an incredible transformation and hopefully a huge confidence boost too! We’re looking for real people that deserve our top experts help - including non-invasive cosmetic surgery, hair styling, make up and fashion. The chosen applicants will receive an incredible transformation and hopefully a huge confidence boost too!